I received free review copies of these stories from NetGalley, on behalf of the publisher. Kraken, balloon-borne marauders, and boilerworms! Oh my! Zenobia Fox has her work out cut out for her when she sets off from Denmark to accompany her friend, Helene, to the Red City of the Far East in The Kraken King and the Scribbling Spinster, by Meljean Brook. 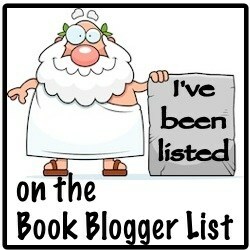 Zenobia is a writer of adventure stories, based on the adventures of her famous, wealthy brother Archimedes Fox. She has been kidnapped more than once and, when mysterious attackers destroy the airship she is travelling on, she suspects that it’s happening again. Ariq, known as the Kraken King, rescues her and her party and spirits them away to his smuggler’s paradise in western Australia. 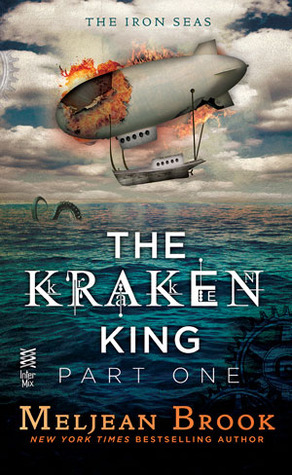 Zenobia and Ariq’s story continues in The Kraken King and the Abominable Worm. The pair set off in search of the raiders that downed Zenobia and Helene’s airship. Along the way, Zenobia continues to fight against her attraction to Ariq—though he really wishes she wouldn’t. The two did not get off to a good start in part one, due to a misunderstanding. Meanwhile, the entire party is attacked by a boilerworm. A boilerworm is a remnant of Imperial technology that has invaded the Australian outback. They’re attracted to heat and absolutely lethal. Brook leaves us hanging at the end of part two, to make sure that every reader who has enjoyed the ride so far will be dying to see what happens in part three. In Zenobia and Ariq’s world, the Golden Horde managed to survive through history and conquer Asia, Europe, and parts of Africa and Australia. Technology has a distinctly steampunk flavor, though some characters spot nanobot-enabled enhancements. The world has a distinctly neo-Victorian feel, but with a generous (and gratefully received) dollop of gender equality thrown on. I loved that Zenobia got to ogle Ariq as much as he seemed to ogle her. Brook has the same problem with one-sentence paragraphs I’ve been seeing in lighter literature lately. 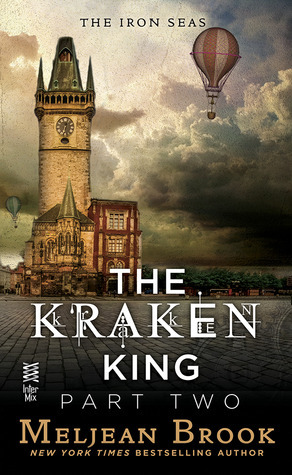 Despite that, The Kraken King is manages to conjure an intriguing world that I was eager to explore. They’re a modern day version of dime novels, I think, and they were a lot of fun to read. I really wish the publishers had released more of the stories at the same time so that I could have had a bigger ending and some resolution of plot threads.